Day 7 of my 40th year: Meeting the Irish President…almost. 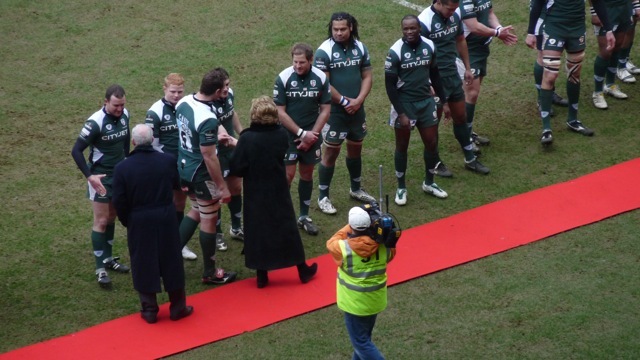 London Irish v Harlequins in the Guinness Premiership and a special guest at the match today. Ok so this picture was about as close as I got to Mary McAleese the President of Ireland, but I was vision mixing and directing Alex the cameraman from my position high up in the main stand at Madejski Stadium.